Do you own a boat or motorcycle that you regularly take to the water or on the road? Are you trying to find a good insurance company to ensure that you are well-protected with plenty of insurance coverage? If you answered yes to either one of these questions, then look no further than Absolute Insurance Agency. We offer numerous policies for motorcycle insurance, boat insurance, ATV insurance, and RV insurance for residents in West Des Moines IA, Clive IA, Urbandale IA, Des Moines IA, and the surrounding areas. Before using your boat or motorcycle, it is vital to ensure that you have the right amount of insurance so that you are not personally responsible if an accident should occur. We are one of the most reputable insurance companies in the State of Iowa, so you will be in good hands with excellent insurance coverage when you come to us. Properly Evaluate Your Needs. 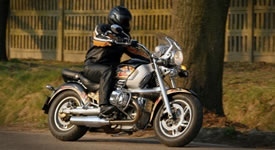 Insuring a motorcycle or boat is a lot different than insuring a home or car. Everyone has different needs where insurance coverage is concerned, and different options are available with specialized policies. 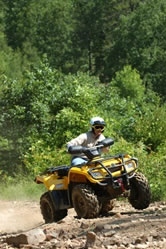 For example, a special motorcycle policy may provide coverage for aftermarket equipment and custom paint jobs. These things would most likely not be covered under a standard auto insurance policy. Boating Insurance Needs. Just as with a motorcycle policy, a special boat policy could cover additional things such as damaged or lost fishing gear and more expensive things such as fuel spill cleanup and on-water towing. You would probably not get the same premium coverage if you added boat coverage to your homeowner's policy. Talk with Independent Insurance Agencies. An independent insurance company, such as Absolute Insurance Agency, can represent multiple companies to get you the best rates and coverage, whereas other insurance agents only work for one company. You will have access to much better services and policies when you go with a licensed, independent insurance agent. Contact us today to receive a quote for boat or motorcycle insurance coverage. We will be pleased to help.